Home » What is Ki Aikido? In the Art of Ki Aikido there is no aggression, tension or competition. Classes are suitable for all levels of fitness and may be practised equally by men and women of any size, age or ability. The purpose of the practise is to learn to co-ordinate our mind and body, through enjoyable exercise, and this will then enhance the quality of our lives. Ki means “Life Force”, the natural energy common to all living plants and animals. In todays society many people have a highly pressurized lifestyle which can cause tension, fear and worry. This can create physical ailments such as backache headache, migraine and mental strain. When the mind is disturbed, or we have physical tension, we withdraw our power. We can learn, through the Ki exercises, to obtain a calm mind and relaxed body, enabling our power to be fully extended. Rather than depend solely on pills or doctors for common ailments, we can help ourselves through specific exercises, breathing and meditation, and so create a happier life for ourselves, and others. Ki Aikido usually consists of exercising with a partner, and all the stretching and exercises come naturally within the individual’s physical limits. These exercises simulate problems in daily life. We learn that force and aggression are useless in dealing with a partner who is holding you. 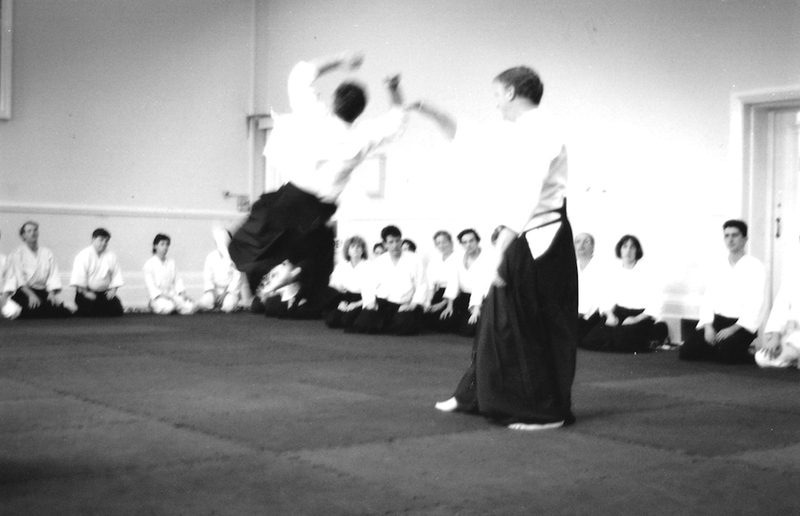 Physical strength is of no consequence in Ki Aikido. The unique principles in this art are directly applicable to our daily lives. At the same time they give us a practical method of dealing with many problems that we may face. 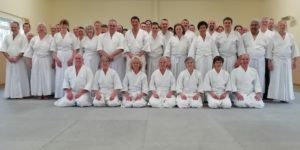 A further article by Sensei Williams: A Deeper Insight into Aikido?